Saint Edmund’s Church in Sedgefield currently costs around £1,350 per week to maintain it in good order and to provide a comprehensive range of services to the community, treasurer Chris Rowsby has reported in his annual review of church finances. 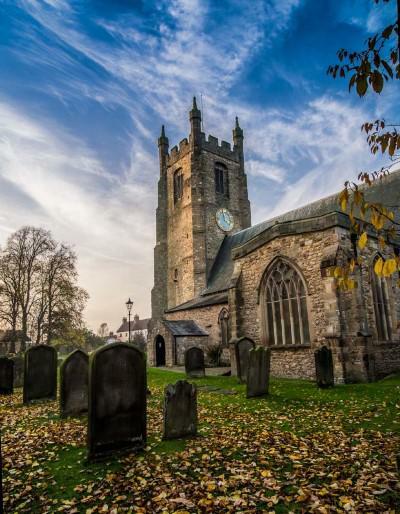 Principal expenditure he told members at the annual meeting of the District Church Council, was the £32,445 paid to the Diocese as the parish share, a 5 per cent increase on the previous year. After paying in full all its dues, the year closed with a deficit of £6,600. At a time when church-giving was static and costs continued to rise, this was a matter of concern and he appealed for anyone with ideas and suggestions for generating income to contact him. “Some very careful thought and planning will be needed in the coming year especially as the church will incur significant expenditure repairing the roof as a result of recent lead thefts and for which insurance cover will only meet £10,000 of the total cost,” said Mr Rowsby. The roof appeal, he added, had already brought in over £3000 (towards an estimated repair bill of £30,000) and the Church Council was most grateful for the various donations it had received. Footnote: Further offers of financial help can be sent to Church Treasurer Chris Rowsby at 36 Beaumont Court, Sedgefield, Stockton on Tees, TS21 3AH (tel 01740 621125). If you are a UK taxpayer and would be prepared to gift aid your donation, please include a letter specifying this with your cheque and ensure it includes your name, house number or name, and postcode – or contact Chris if you are making an online donation.